Bitcoin is the most popular digital currency out there, and as this new currency comes into its own, more and more businesses find that it’s necessary to accept this currency. This includes a lot of sportsbooks. If you have Bitcoin or are thinking of purchasing some, then this is a good way to convert the currency into even more profits as you place bets on your favorite teams and players. But, because sportsbooks accepting Bitcoin is still new, there are still many questions out there about how to get it and, even more importantly, how to safely use it. We’ll walk you through the process here. 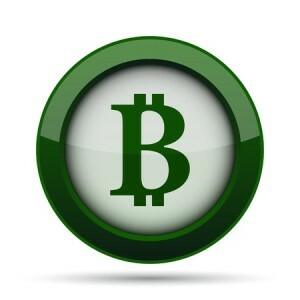 You can definitely deposit Bitcoin into many of the great sportsbooks to get started. There are three major ways to get Bitcoin: you can purchase it from a friend, you can purchase it from a Bitcoin exchange, or you can mine it with special software. Whichever you choose, it’s important that you store it safely. You need a Bitcoin wallet, and just like your physical wallet, you need to keep it secure. You can do this with a mobile app, a software program on your PC, or you can purchase an external piece of hardware that will keep the currency encrypted and secure. If you don’t have one of these things already, you need to get one before you go any further. If you’ve already obtained and secured your Bitcoin wallet, then the next step is using it. When you create a sportsbook account, then you will be asked to fund it so you can start making wagers. There are a lot of sportsbooks that already accept Bitcoin, such as 5dimes and BetOnline, but not all do. It’s best to look at the sportsbook’s accepted funding methods before you create the account so that there are no surprises afterward. Some sites, like 5dimes, will only accept Bitcoin during certain business hours, too. If you’re going to use the digital currency, make sure that you know these things ahead of time so that you don’t run into any complications or bumps in the road. When you are ready to withdraw your winnings, you may or may not be allowed to use Bitcoin for this. Some books will only allow you to use the same method that you used for your funding, others let you decide. There is a risk and a reward for using Bitcoin as your withdrawal method. The risk is that Bitcoin is volatile. If you have earned money on your bets, but the price of Bitcoin has dropped significantly, you might find that you have actually lost money, despite the fact that you’ve had a great experience at the book. The reward sends things in the opposite direction. Because Bitcoin still is maturing, there’s a possibility that the price can go up, too. So, you might find that you have won a lot of money on your bets, and then when you withdraw your Bitcoin, the winnings have multiplied beyond that thanks to the fluctuations in price. However, not all casinos work this way. Some will convert your Bitcoin to a base currency, like the U.S. dollar or the euro, and then have you withdraw in that base currency. In this instance, you are safe from fluctuating Bitcoin prices and the casino assumes the risk/reward associated with it. Again, make sure that you know how the casino deals with this before you begin so you are not caught off guard and unhappy with the situation. If you do have questions, contact customer service before you begin. Many sportsbooks will give you a bonus when you make your initial deposit. This is a great way to grow your account quickly, especially if you are a winning bettor. Just remember that you might lose your bonus if you withdraw from your account before you’ve unlocked the bonus. Be sure to know what your book’s policy is on bonuses before you try this. It would be a shame to earn a big bonus, and then lose it because you hadn’t read the fine print about it. Also, do remember that Bitcoin has a huge benefit for you when it comes to funding your sportsbook account. Some countries, such as the United States, have laws that prevent banks and credit card companies from sending and receiving transactions with a sportsbook. However, because Bitcoin is an international, non-regulated currency, it may be easier for U.S. residents to use this than any other method to play at a sportsbook. The UIGEA of 2006 prohibits the use of financial institutions to interact with online casinos and sportsbooks, but it doesn’t prohibit you from playing at them, making Bitcoin completely legal to use. Make sure that you know your local laws and the book’s policies, of course, but this does open up many doors that may have previously been closed to you.